Nintendo's series based on ancient Greek legends was long considered a sister title to the Metroid series. The heroic angel Pit even shared the spotlight as one of Nintendo's premiere stars for a while, and was one of the co-stars in the Captain N: The Game Master TV series. After 1991, and despite many rumours, a return for the series didn't appear to be on the cards. 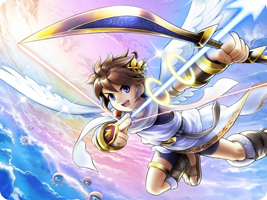 Following Pit's return as a playable fighter in Super Smash Bros. Brawl, Smash creator Masahiro Sakurai revived the series over 20 years later, with a hugely expanded cast, new game mechanics and even a promotional anime.